Here in the Roaring Fork Valley, our customers usually visit ReStore 2.0 looking for gently used furniture, appliances or building materials. Recently, we’ve been surprising many of them with news that they can now purchase affordable new custom cabinets right here in the store. 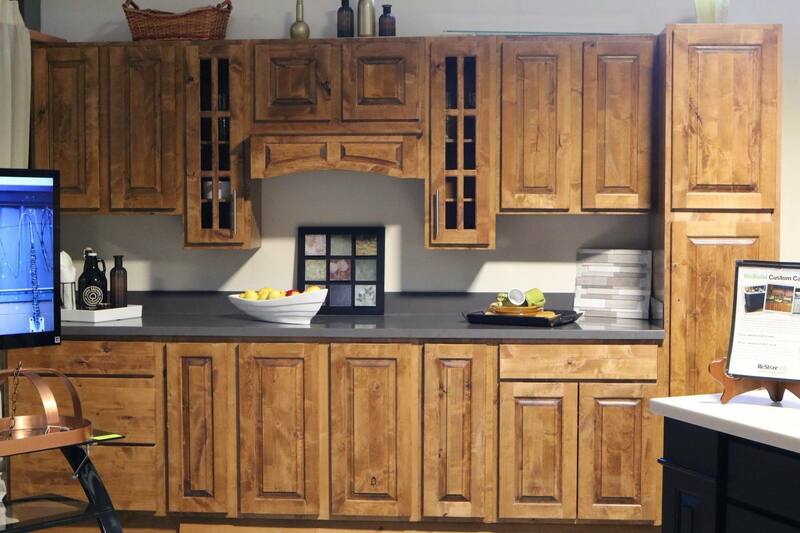 ReStore 2.0 is able to offer this gorgeous custom cabinetry thanks to Habitat for Humanity Colorado’s WeBuild program. For 20 years, this program has been helping rehabilitate incarcerated men at the Crowley County Correctional Facility by teaching them fine woodworking skills. Those skills are then used to create custom cabinetry and roof trusses for Habitat for Humanity homes across Colorado. To further promote the success of WeBuild, Habitat for Humanity Colorado has partnered with over half a dozen ReStore locations throughout the state to sell the program’s custom cabinetry to the public. ReStore 2.0 is proud to be one of these partners and excited to give the Roaring Fork Valley access to the beautiful hand-crafted cabinets and bathroom vanities the program provides. Contact our cabinet specialist Ron Acee at WeBuildCabinets@HabitatRoaringFork.org or (970) 456-5575. Measure and design your custom cabinets. Select from a range of door styles, hardware, wood and finishes. Receive and approve technical drawings and a cost estimate for your cabinets. These are typically sent a few days after submitting your design layout and measurements. Submit a 50% deposit and WeBuild will start working on your cabinets. For more information please visit the WeBuild section of our website. There you will be able to learn more about the program, see cabinet options, download a catalog and an order form. Please don’t hesitate to contact us or the cabinet specialist listed above if you have any questions about WeBuild custom cabinets!